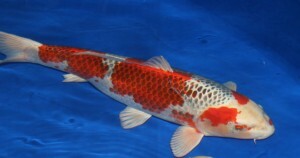 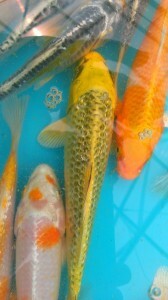 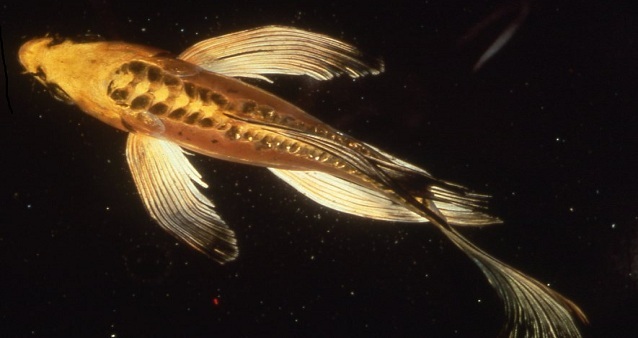 Koi are the ultimate pond fish and often lead to case of koi kichi or “koi crazy” in the pond owner. 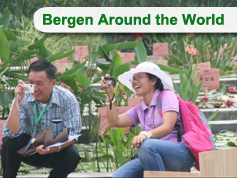 At Bergen Water Gardens we offer a medium to high grade of domestically produced koi. 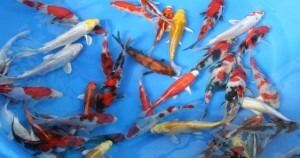 The fish are available in standard fin and butterfly or long finned. Sizes commonly offed for sale start at 3 to 4 inches and often top out at 14 to 16 inches Email or call for specific availability. 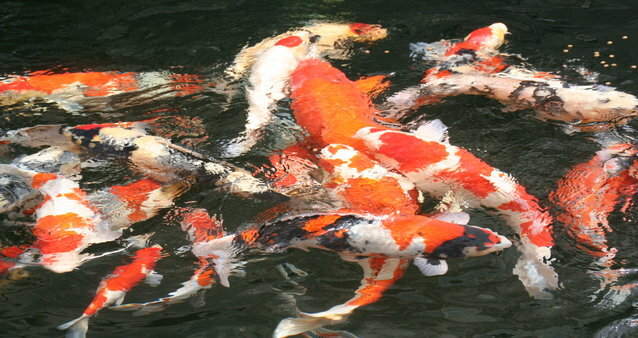 2018 – Bergen Water Gardens will continue its tradition of offering healthy and beautiful koi for the 2018 season. 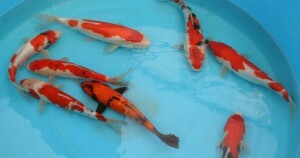 Examples of our koi from previous years are below. Never release unwanted or surplus fish into New State Waterways! Do not release live fish into ponds, streams lakes or sewers. 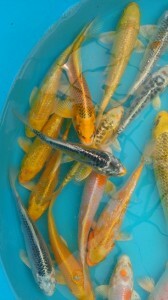 Consult your store for alternatives or rehoming unwanted specimens. Premium Koi, Gold Koi and 8 to 10″ Select Butterfly offer some amazing koi for your collection! 2015 The First Koi of 2015 have arrived! 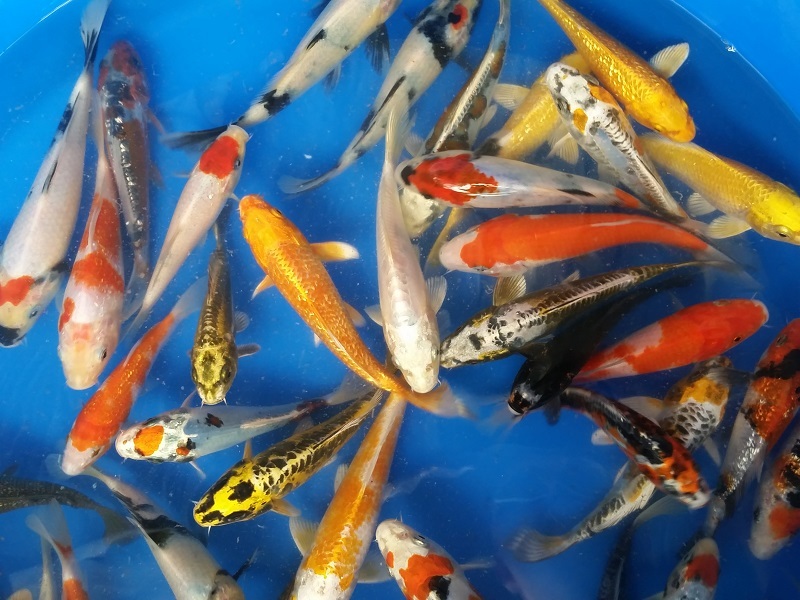 Great selection of Metallic Koi have arrived as we wind down the 2014 season! 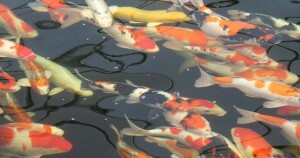 These pond fish are mostly 6 to 8 inches and standard fin. 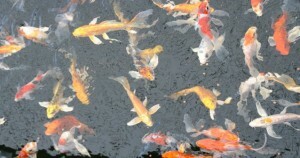 Many Gin Rin, diamond koi, are in the mix as well. 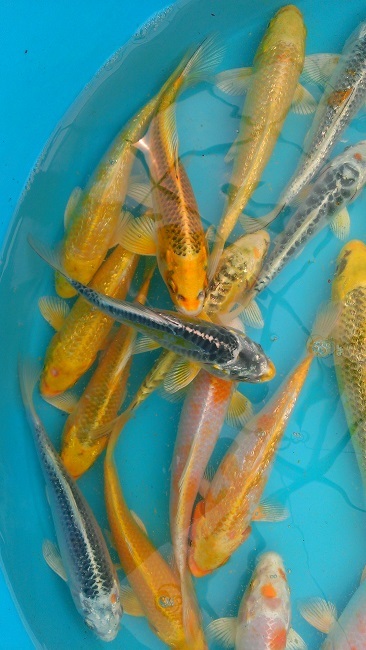 More great fish have arrived for your late summer additions to your pond. As we start the second week of May 2014 water temperatures are rising above 60 degrees F and it will now be safe to add fish to your pond. 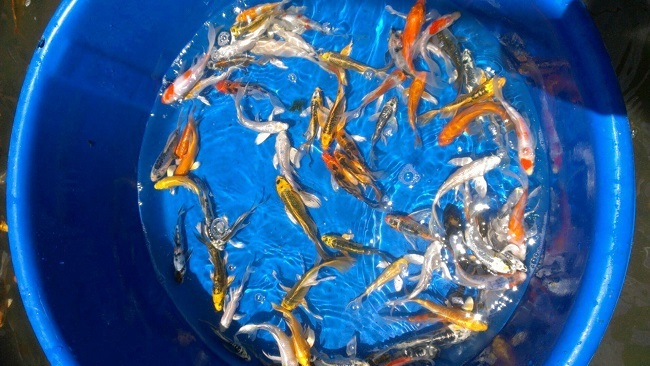 At Bergen, we have a great selection of Koi and other pond fish to restock your pond with.